Holding conferences with students during reading workshop can be intimidating if you don’t know what to say. I created these conferring cards to act as a “cheat sheet.” They help you ask questions during a reading conference to see if your students really understand what they are reading. 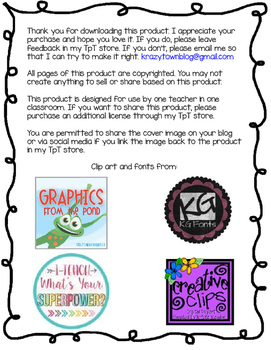 Print, laminate (if you choose), hole punch, and store on a ring to keep with you as you meet with students. 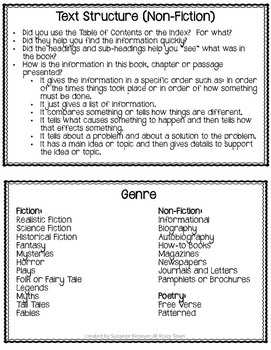 Includes questions for both fiction and non-fiction (informational) texts.